TNS will bring you all the news and updates regarding the 2009 PBEM Singles Tournament. Next to schedule and current standings, we will also bring you interviews, previews, and game analysis! Find everything you want to know right here! Ladieeeees and gentlemen, welcome to Tournament News Station, your station for all news regarding the upcoming Tournament! Feel free to send news to swolte at gmail.com, and our reporter may put it on. This may be interesting in game events. If you can take a screenshot of an interesting situation, that would be great! (Aug 6, 2009) Already, nine contestants have signed up in what seems to be a good mix of new and experienced! Also, for those that have missed it, don't forget to check out the maps that will be used in the tournament over here! Ahem, just a stupid question to Radio Tournament: How many years do you expect the 2009 Singles Tournament to last? If people are to play 1 turn per day, we can finish one round in 2 or 3 weeks max. Ladies and gentleman, welcome to TNS! Today, we will have the head organizer, Swolte, to talk about some of the planning. Swolte, welcome to the show and congratulations to starting the tournament. Thank you, it feels good to be here. A lot of people worked hard to get things ready behind the screens, so it's great to finally get the tournament started. To start off briskly, the tournament hardly begun and already we had a caller wondering if it will ever finish!? Hah, yes. It's a valid concern, and indeed one that is the biggest threat to a tournament like this. However, as Naeco suggests, I am confident the tournament will finish before the new year. Right, what makes you so sure? Three reasons. The first reason is map selection. The tournament maps have been carefully selected to play fast. As you may have noticed, all maps are of small size. Maps made for the tournament that were slow in design, were simply not used or underwent heavy revision until they were. This involved making more, and easier, connections to an opponents' realm, as well as more starting resources, or less AI defenders. Indeed, testgames have shown that games generally won't last longer than 20 turns which was the criterion for a good tournament map. The second reason is the Turn speed rule. As you can read in the rule thread, people are expected to play - at least - a turn every two days. If they don't, they can get a warning, and eventually banned from the tournament. We intend to take this VERY seriously, so let me take this opportunity to once again ask people to only sign up when you are ready for a commitment! Well, that sounds a bit harsh. What if I have 4 diapers to change, and an unexpected family weekend visit. Or what if my internet dies?! Well, one of the keywords is 'notice'. If you give notice, you can get up to a week off. And sometimes, the judges can look at situations on a case-by-case basis. But, we have to be realistic and tough that indeed it WILL take years if such rules slide... a few can hold up many! If things take too long, the tournament will lose its momentum and people their interest. This is exactly what your caller feared, I think. Ok, what was the third reason. The third reason is a deadline rule. It is possible, if two people turtle a lot, or the game just goes back and forth, that a game can legitimately take longer than a month between two people. At one point in time, probably when 80% of the games are finished, we will set a deadline. This means that games that are still ongoing by the deadline will be terminated and sent to the judges for evaluation. Each judge will decide which player deserves to get the win. Obviously, judges who have a conflict of interest won't partake in this process. What are your expectations for the tournament in terms of planning the timeline? I won't! Anyway, Swolte, thanks a lot for the answers. And you, thanks for listening to TNS!! Thanks a lot ! This has woken me up from my morning sleep. Ladies and gentlemen, welcome to TNS! 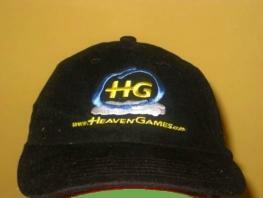 Newsflash: a first image was released of one of the prizes - an official Heavengames cap! Shiny! The winner and runner-up can win one of these cool caps. And, there is also one for the best logger of the tournament! Dammit, I HAVE TO have one of those!!! Ladies and gentleman, welcome to TNS. Today we have a special guest on the show. Please welcome the former WL champion and winner of the 2009 mapmaking contest TIMELORD! Take your seat. Congratulations on your winning map, Too much Water. Could you tell a bit about the mapmaking process? Timelord To me, mapmaking is first a cerebral process. I tend to think through almost fully what the map will be - story/quests/etc before even opening the editor. After that, its purely a matter of what I can do in the editor to bring that story alive. Sometimes, it can get very difficult though - I have a Large single player map sitting almost complete but its not because I hadn't thought through a couple of plot loopholes and the story isn't adequate enough to fuel all side-quests. Where did you get the idea for the map? Timelord I actually went through a couple of ideas before I decided to stick with this one. I had been running through the details in my head - what the races would be, what the map restrictions would be in terms of races/units/buildings, etc - for over a week before I even opened the editor. My primary condition for the map was different starting positions, at least 3 ways to go from one wizard to another and differences in unit strengths and movement - of course, balance was a pre-condition for all this since it was to be a competition map. Were you happy with the result? Has the map changed since its initial version? Timelord Actually, I worked on the map only in the last 2 days of the competition and I was putting in final touches right till the deadline. I was happy with the way the balance was since I was focusing on that heavily but I wish I had started sooner. The map wasn't a complete product - it was lacking descriptions, some empty signs and could have used a bit more imagination in the names I feel (most of the names in the map are ripped directly from King's Bounty - which I was playing at that time). It has changed a bit from the initial version, primarily to provide an alternate shipping option to counter the balloon unbalance that many reported. The map will be used for the final. And I have heard, it is very likely for finalists maps to appear in the first rounds in next tournament. To what extent do you have 'home-ground advantage' if you make it to the final? Timelord I know the map extensively, even down to some of the hex counts between certain points as I had to make certain that playing speeds were what I thought they should be to keep the balance good so I think that is a definite advantage. However, that can easily be countered by studying the map in the editor too. So, I think the map should purely play out as a test of skill even against the mapmaker, if time is taken to study it in the editor beforehand. You are regarded as one of the favourites considering your experience and former WL champion status. How did you learn to play as you do? And what do you think gave you an edge over other players most of the time? Timelord It took a long time for me to play as effectively as I play now. I think the longer you play and with different people (which translates to countering different styles), its easier to adapt and change/refine your strategy when required. It also helps when there is an analysis of the game done at the end from the different players involved as this puts valuable information about strategy and tactics available to anyone who is interested. I think the one thing that gives me an edge over most players is prepping for the FC battles (units, enchants) and having a fair idea of the outcome even before I initiate a battle. What does your preparation consist of before starting a match? And during a match? Timelord If its a competitive game, I look at the map in the editor beforehand and try to get a handle on the speed at which the map will play from either side - access to resources, towns, units, etc. I also try to figure out what units each side can have. During the match, scouting and speed are the key elements for me. Looking at the maps used for the tournament, do you think there will be maps you'll be doing worse, or better on? For the upcoming Tournament, which players do you fear the most? Timelord Henrysix, if he is playing. What is your advice for new contestants? Timelord Play against different people and on different types of maps and most important, every move and every unit should have a purpose in the game. Those were all my questions. Thank you for the interview and good luck in the tournament. Welcome to TNS, your station for all tournament news. Today we will have the tournament organizer on the show. We'll ask him some questions regarding the sign up and the amount of newbies. So, Swolte, welcome again! There are quite some new faces signing up for the tournament. Some of them may have never attempted multiplayer!? What is your opinion on that? Thanks, its nice being on the show! I think its great to have many newbies sign up. It'll be good for the Tournament to have more players. Its also good for the community as a whole, perhaps a couple will stay around for longer and become reliable players! Its a great game, even by today's standards, and so far we're keeping it alive by having a strong community. So yes, fresh blood is good. We definitely welcome everyone. Do you have concerns as well? Yes, my biggest concern is reliability. PBEM is a real commitment, and people will need to be able to send out turns on a regular basis. Especially in the first round, there may be 3 turns a day to be dealing with. This is not trivial! More experienced players know what it takes and so I am concerned about drop-outs. I would ask any listeners to keep this in mind! Also, a tournament can be quite competitive, so it may not be the best place to make friends. I highly recommend to do some leisurely fun games as well, just to get an idea of what it is like playing against a human. A good idea to get a hang of the more technical aspects as well. Ok, relatively speaking. People may need to get into how to send off their turns, manually or automatically. Or how to set a password. And don't forget reading the houserules, of course. We have a report of a player, Morgull, suggesting they make it easier for the more experienced player to the next round. Yes, well, I wouldn't underestimate new players. Especially on small those small maps, if they have an aggressive style, it may be surprising! On the other hand, it is unlikely that they will make it very far in the tournament. There is quite some strategy to the game, and knowledge of the spells and races may be crucial in the long run. Well, if you're new and you're playing slow and defensive, like you can do sometimes against the AI, you will probably not get very far. I would recommend to be very aggressive. This way you may be able to beat a more experienced player. Especially on these small maps, one mistake can be final. Any everyone will make some. However, if you let a more experienced player recover, you may find yourself in an impossible situation later on. Also, leave Magic Vaults alone as much as you can. The defensive spells can sometimes be so harsh that you can cripple your entire army. Its a very common mistake to think you need to conquer everything nearby. You don't! Simply move to viable targets that are less risky and keep your army moving. Ok, thank you so much. This was TNS, your station for tournament news! Tournament organizers just announced that anyone who hasn't, should probably sign up as soon as possible. It could be closed any moment! Hey, you were born for this job, Swolte! Very nice reading! Ladies and gentleman, welcome to TNS, your station for all tournament news! The tournament sign up has now officially been closed. Next to the familiar faces, there is an unprecedented amount of new players who signed up. Hardly ever in the history of AoW tournament have we seen this phenomenon. Now that the list of contestants is known, you're invited to call in (read: post in this thread) your top 5 favourites of who you think will win the tournament! We'll definitely invite the top 5 recurrently named players to the studio for interviews. Have a great day, and make sure to tune in tomorrow! Yes, hello. Good day. I have a couple of questions for Mr. Swolte: could it be that some of the new players who signed up for this Tournament are in fact alias of well known community members? Has this situation been reported in past tournaments? Thank you, sir! It's a great day, as the tournament has officially started! The turns have been sent out to the contestants, and people can follow progress in the threads. The opening celebration has been a blast! Today we will have two guests: Swolte and Enginerd! Welcome both! Swolte, how was this day for you? Thank you. It's been crazy. A lot of things needed to happen and I am currently relieved that so far it all went (relatively) well. I have to give credit to Enginerd, who was a great help with setting up the new tournament system and the graphics. Jayhawk, btw, did the random seeding, since Chowguy wasn't able to run the Excel Marco's. A small change of plan, but it worked out well. All in all, it took me a whole day, but it's all done! Ah, yes, the new system. Enginerd, how did you get the idea for this system? Enginerd While we were planning the AoW1 2v2 tourney we came up with a similar problem of not having the "ideal" number of teams so I went searching and after discussions with the other players we settled on a Swiss tournament format. After diving into the nuances of it I thought that concept would work great for the early rounds of this tournament and it allows to easily switch to a traditional single elimination format for the latter rounds. Can you explain to us how it works? Enginerd The Swiss formats are common in the Bridge and Chess world and many variants exist out there. For what we've got planned for round 1 we basically have one big pool of players (30 of them). There are no brackets of 4 players where you play 3 round robin games. You will get to play 3 games on 3 different maps against 3 different people and it's all spread out. You will gain 1 point for a victory, no points for a loss. We will also track the points that your opponents make. After three games we will be able to rank players by their victory points (0-3) and then by the score of their opponents (0-9). This way you get rewarded for beating players that win other games but you are not rewarded as greatly for beating the player that loses every game. After these 3 games we will be able to rank everyone from 1st to 30th and then we can choose to whittle it down to 16 for the next round and switch to the classic single elimination for the other rounds. Interesting, are there any disadvantages to the system? Enginerd There are always good and bad in any system and this one has both, hopefully more of the good than the bad. One of the biggest disadvantages for us I think will be the complexity to organize and also that folks are not familiar with it. A traditional round robin, elimination round tourney is "comfortable" because we've played them lots. This is new.... and a bit tricky to set up and lots to explain. There are advantages so with a little extra work up front, an opportunity to learn new things we've got a tourney format that will be fun and exciting and offers everyone as fair a chance as possible for victory, giving us a chance to play at least 3 games, get to know the newer players, try out the new maps, minimize the impact of ties, and... did I mention it will be fun! I would like to add to that with this system it pays to help your opponent if you have defeated him/her! Your subranking score will depend on how well this person is doing. So, we hope there is also some collaboration and perhaps some exchange of knowledge forming. If people have concerns or questions regarding the system, they are welcome to ask them in the rule-thread. So, Swolte, what should the contestants do next? Well, as announced, the strict time rules WILL NOT be in effect until September 1st, so people can spend this time to study the maps, or get a headstart, so they won't be as busy later on. Hold on, please! Apologies for the interruption, we have a caller! Albinscott: "Yes, hello. Good day. I have a couple of questions for Mr. Swolte: could it be that some of the new players who signed up for this Tournament are in fact alias of well known community members? Has this situation been reported in past tournaments? Thank you, sir!" I'll take this one. It's unlikely and very risky, since it would be breaking the HG code of conduct which basically states that you aren't allowed another account. These accounts are often called 'smurf' accounts. Now, I am not saying it is impossible. It could be that certain veterans are to scared to put their reputation up to the test and go for the relative safety of anonymity. Once caught, they will be disqualified, however. As far as I know, it has never happened before. One a related note, it is a missed chance if experienced players don't sign up. Reputations can be made in tournaments, and outcomes in these matches are often a much more fair indication of skill than those in your regular pbem game. Thank you. I hope that answers the question for you, Albin! Enginerd, now that the Tournament has finally begun. Who are your favourites? Enginerd I'd have to pick Timelord and Swolte as two of the favorites (both former champs). I've also been thumped on by Naeco and Pawel so I'll put them high on the list. One nice thing is there are lots of newer players joining in so I bet at least one of them goes deep in the tourney and surprises us all. It's not an easy question. I think that Timelord and myself will definitely be pushed in the favourite roles. For good reasons, hopefully, but it will mean people are more alert against us. I would also tip Troy Locker, he has been absent for a while but I am glad I am not up against him in the first round. Lastly, Torso and Costa are also very good players that I am sure will make it far. Thank you both! Good luck in the tournament, and we'll see you back on the show another time! This was TNS, reporting on the 2009 singles Tournament live from the studio! As part of the 1v1 tourney we would like to offer you some tools to track the progress of Round 1. Two files have been emailed to all the tourney players and judges, they are the same file in two formats. One is a Word document, the other is an Excel document. They contain the list of players and their email addresses as well as the list of games for round 1. This information has already been provided in the Tourney threads but now you have it at your fingertips. We will also be putting these forms in the downloads section so anyone can get access to them. Additionally, we are encouraging you to make your predictions and participate in the poll. There are two columns on the tables provided, one column is where you can place your predictions for all the games in Round 1 and the other is for the actual results. I invite you to make your predictions by placing an "A" or a "B" in the "Predict Winner" column. "A" for the first player listed, "B" for the second player listed. Then, save the results in either document replacing the word "blank" in the filename with "your forum name" and then sending me, Enginerd, an email with the the file attachment. Please don't send me 30 spreadsheets with the same filename, I'll go nuts. I will track the predictions and compile the results and see what you think about the outcome of round 1. The Deadline for the poll predictions is Sept 1st (actually, it must be in my inbox when I check my email on the morning of Sept 2nd at approx 8am ET). I will post a summary of the poll results as soon as I can on the 2nd. Who knows, there may even a prize or other special recognition for the player who comes closest to prediciting the actual outcome. You only need to send your predictions in one of the formats, excel is preferred for me but use the one that is most convenient for you. I've already got Swolte's predictions (and mine) so let's see what the rest of you think! Regardless, you can use these documents to help you better understand the round 1 games and to enjoy the tournament. Anyone can participate in the Poll and you can only make your predictions once. Tourney players get the forms emailed to them, those not in the tourney will have to get them from the downloads section (they'll be there soon and I'll provide a link once they get updated). great work guys, I mean setting up all of this and doing this radio thingie!! and - Enginerd - in regards to your comment that the Swiss system could be difficult to explain: Well, although I generally tend to misunderstand the obvious while I often understand the not so obvious... I directly understood this Sytem, lol ! keep going the great entertainment! Just a FYI - the tournament version of the Mountain of the Gods in the download section has all structures with no guards. I am assuming this won't be the way the games are set up. Cheers to the players & good luck! Sapphoenix is losing every single PBEM (almost! ), but loving it! Ladies and Gentlemen, welcome to your TNS newsflash! On the first day of the tournament, it seems that most people have already begun playing their turns. Most games are quite slow, however, there is one game that is already on day 31! Please check out Smuki and Cranberry on Rocky Divide! Next to filling out the poll request by Enginerd, I would also like to ask you to report interesting situations that have happened to you in the tournament to TNS. Please email us your stories to swolte at gmail.com. If applicable, it may be useful to provide a screenshot (simply press the -prnt Scrn- button and paste it into a graphic program). That actually is brilliant, IHMO. With that design and setup, there are no way you can see it before hand which guards will be in which structures. Often when people study maps, they send troops to different directions depending on the indies they see on the way (units can deal best against, shooter, units against fliers,...). In this one? Surprise, surprise ! It's LordDuck, the designer of one of the maps for the first round, Mountain of the Gods! LordDuck, welcome to the show. Your map is used for the first round of the tournament. How do you feel about that? 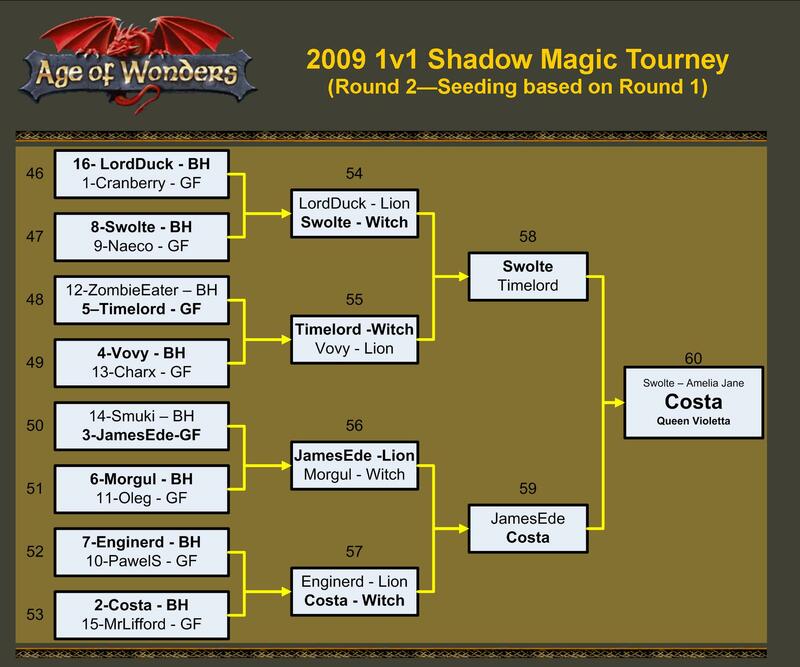 LordDuck As there will be the most players in the first round, I'm pretty happy with it. I think I'll have to thank Swolte for that though, as he had many great suggestions to make the map better for the tournament. How did you get the idea for Mountain of the Gods? And can you tell us about the map-making process? LordDuck It became spirit mountain, or mountain of the gods, after I already finished the map painting. When playtesting, all the shrines would give me a lot of quest and I had to look at those spirits and awful lot of time. I didn't really start with an idea, I just opened the editor and started painting a snowy area. I added a lake in the middle and then thought it looked like a mountain. After that I painted the underground. Because of balance, I chose to make it a mirrored set-up, but to make it different, I moved the area's around a bit until it fitted nicely. I'm happy with the result, it looks good, and the structures blend well in the terrain. LordDuck At first, I had the defenders using the normal strong, average or weak selection, but taking a look at the map ingame, I realised that I didn't liked it at all. Dwarves were placed in goblin areas, orcs were placed at the halfling farms and humans guarded the Archon structures above ground. Using events to spawn all guards at the begining, I could remain the randomness, and still have the units I liked guarding the structures. It also allowed to balance things better, so no saint or something would pop up somewhere it could be recruited. Do you have any advice for the players who will be contending on the map? LordDuck As building strong units in the towns requires some time, it is better to spend gold on the recruitment sites, and use the abilities of your units to increase your armies. Make good use of the recruitable units to scout ahead, as the nomads don't got night vision, and the Draconians lack movement. There are also shrines in each town, and the quests can give a good reward. Thank you so much for being on the show. Good luck in the Tournament! which is, that with weak/average/strong you also don´t see which quards are there because they are new each time. It WOULD HAVE been brilliant, had the author set the guard-lists in the events in a way, that they contained weak, average and strong stacks but as far as I checked them (I didn´t check all events though ) the stacks have always the same strength more or less, it just different kind of races. So a standard settign to weak/average/strong would have had the same effect I´d say...?! OK. Now I understand the reason behind it. The way the game places racial guards apparently completely senseless on the structures is indeed poor sometimes, I agree. Euh, boss... By this morning?! Why is that light still burning?! Ladies and gentleman, welcome to TNS, your station featuring all tournament news! We will start today's show with a call to return your prediction poll results to us as soon as possible. Perhaps even this morning... but definitely before the 1st of September. It will only take a few minutes. If you lost the email, you can get the forms to make your predictions from here! Our first newstory concerns the dropout of Nyarontho... Nyralota... DAMMIT!! *reads* N-Y-A-R-L-A-T-H-O-T-E-P, who withdrew from the tournament after technical problems. Tactical Combat wouldn't work for him, and it was a handicap too hard to deal with. He was immediately replaced by a relatively unknown player, called Spiceant, so we welcome him to the tournament. He has will replace Ny... Nya *cough* in games 4, 23, and 34. Swolte has called for more backup players, so if there are any listening in on today's show, please report yourselves here. Our second newstory concerns Cranberry, who obtained the first victory of the tournament! This was most exciting! I was there when it happened. Please see the live coverage here. Cranberry is the new -hot- phenomenon, as later this day he also obtained another victory by defeating Smuki with record speeds of 31 turns/day on Rocky Divide! Check it out the exciting match here. We will certainly try to get him on the show this week, or the next. This was TNS for you today! On today's show, we will have the newbie phenomenon called Cranberry! Cranberry, welcome. You have been quite a surprise so far in this tournament. Not only are you new to the forums, but you also managed to obtain the first AND second victory of the tournament? What lies on the basis of this success? Luck? Cranberry: Always a bit of luck of course, especially against Smuki I think I had luck on my side on a couple of occasions. But then again, fortune favors the bold, or so the latin saying goes. It was definitely my aggressive playstyle that netted me the game here. I usually have a tendency to be more of a camper, but with my early slithers, swashbucklers and flyers I could gain a big advantage on the surface by attacking fast, taking most of his structures on the surface and gaining the economic advantage. Could it be that your name, Cranberry, doesn't sound like a large menace. People may underestimate you? Cranberry: Yes, it’s not a very frightening name... Yet! :P Our garden is full of these berries, known for their sour taste; on top of that, the cranberries are also among my favorite music bands. Two great criteria to choose a name on, methinks! People who underestimate this name might just taste the sour taste of defeat! But if it’s really this that helped me win these games, it’s a poisoned gift, for I will lose that advantage pretty soon! You're relatively new to the forums, is this correct? How (and when) did you discover AoW, and what made you confident enough to sign up for the tournament? Cranberry: I started playing AoW a couple of years ago, around 2004 or so. Back in these days I played only single player. Now a couple of months ago i dug up the game again and started playing single player again. Then I found the heavengames community, and this motivated to start playing some multiplayer games against a friend of mine who also plays the game. I had no previous experience of PBEM games, but figured this would be the best way to learn it, playing against veteran PBEM-players who know all the tricks. I had no idea how I was going to perform. With these two victories, you have pretty much managed to secure a spot for the second round. Does that affect your match with Torso? Cranberry: I don’t think it will have much effect, I’ll try to win just as hard as any other game. Especially since I understand Torso is quite a PBEM veteran over here; I’ll be put on a real test here! I also hope I can learn something from his playstyle, though. And when I lose against him, it’s good to know I’ll probably advance anyways, and I’ll be better prepared for playing against an experienced player. Cranberry: I tell everyone not to disturb me, lock the door of my room, and then I pray for half an hour to my personal Shrine of War! Furthermore I like to take a peek at the map of course, and I like to play with my favourite music on (but who doesn’t do these? ). Thank you. It's been great having you on the show! Good luck in the match against Torso! Ladies and gentleman, this was your tournament news for today. Welcome to TNS, ladies and gentlemen. Today's most unlucky person is Luke811 who got defeated within 5 days in the Colors of Black and White map! No one knows how this could have happened, exactly, but it is likely his Wizard was killed by an assault on independents. You can check out the reports here, however, there hasn't been an explanation by Luke811. We'll look forward to hearing more how this could have happened. The tragedy caused ZombieEater, a veteran player, an easy victory. It's a risky map since players will start without a tower, so this is a stark reminder for players to keep this in mind. Another tragedy saw Cranberry clinched his 3rd victory in the Tourney against Torso. I was expecting it to be a tight encounter. Ladies and gentlemen, welcome to TNS. Today we'll have Swolte on the show to talk about some organizational issues. We'll start, however, with some sensational developments as the newbie phenomenon Cranberry easily won his match against one of the favourites for this tournament, Torso! The tragedy on the deadly Colors map continues. Torso took the loss well and, after congratulating Cranberry, he gave a detailed report of how it happened: "I took a stupid risk and gambled unnecessarily. I was counting on my gold medaled earth elemental and the fact most of Black's troops were affected by shadow sickness, hoping I could void enemy wizard. I dispelled 'shadow walking' on a bear, but even though it succeeded, the bear was not 'sickened'. Decided to attack anyways. Stupid me, it was not even close. Lost a battle, lost the whole war." Tragic. With another heavy match against Costa, even Torso seems unsure to make it to the next round. Cranberry, on the other hand, sits on roses! It is definitely very unfortunate if games are decided this way. Initially, the map contained towers for all racial starting points, preventing the mentioned situations. However, a nasty side-effect was that these towers made games last for an eternity, which is deadly for the tournament as a whole. To make the map play faster, all towers, except the crucial four, were removed. The tournament has only started for a week, and already two players are out, including one of the favorites. Isn't this map too difficult, even for newbies?! It will definitely punish players who take risks and are hasty. It's an unforgiving, deadly map. Its part of the game to take risks. I don't know what to say. Sometimes they work out well, sometimes not at all. Ok, we were here to talk about some organizational stuff. What has been going on in the background? There haven't been many problems. Mostly, it is relatively new players who get stuck in sending the right turns and having the proper resources available. It can be especially tricky if people have been playing one turn with the v13 patch. The result is that, depending on the map, a lot of structures and units may simply disappear. This is easy to see in the Colors of Black and White map, but harder to figure out in the Rocky Divide or Mountain of Gods map. Luckily, many of the fellow players are patient and willing to help out people who need a hand to 'get into it'. Most of the problems have been resolved as of now, and I believe that all games are now moving. Indeed, so for those that haven't password protected their turns, yet, please do so now! What else have you been working on to help alleviate such problems. We have updated the INFORMATION page with some useful links to the pbem guide and other pages that will teach you the basics of pbem. I hope that this will be helpful for the future of pbem as well. It also contains some tips that may not directly affect the tournament. Greenmonster suggested to have people put their gaming email inside their profile, so that it is easier to set up games, and contact people. An effective communication is crucial to the PBEM community. Thanks you. What can we expect over the next few days? I hope no more tragic losses as we have seen before. I will be working on sharpening up the timing rules which will be in effect from September 1-st. Furthermore, we can look forward to the poll results. People who haven't handed them in, please do so as soon as possible. Thanks for being on the show! This was TNS. May I also remind people that if they HAVE password protected their turns to make SURE the keepers have the password? it is safest to email me, greenmonster( aow_pbem_pass@hotmail.com )as I am not in the tourny and have been updating the database as soon as a password comes in. Roger has also been fantastic about unlocking turns and has really been on the ball. TL is in the tourny, and very busy, so give him a break for now. Today started off with a shock as the deadly Colors map claimed another early victim. Next to Luke811 and Torso, this time it is PawelS who had to hand the victory to Swolte. Comforting for PawelS must be that he seems to be doing well in his other game, where opponent Naeco is already on the run. This seems like an interesting match to follow, especially now that the pressure is on for PawelS. Enginerd announced that the scoring sheet has been updated for this first week of the tournament. For those of you who have missed it, the week has seen some big surprises and shocking events. Cranberry, a completely unknown player, managed to secure three victories with unprecedented turnspeed and already earned a place in the second rounds. Grueling events took place on the 'Colors of Black and White' map which have left 3 players, two of which are quite experienced, with a premature defeat. Next to returning your poll forms, please be reminded to send in some exciting screenshots as well. Ladies and gentlemen, welcome to TNS! We'll have Swolte on the show today to talk about 'the official' start of the tournament, and there's a lot to say, so let's get started! Welcome, Swolte. Thank you. Yes, that is correct. As announced, the tournament will now really start. One of the biggest consequences will be that the timing rules will be in effect. This basically means that you will need to show a sign of life every 48 hours or you could be in trouble, even disqualified. The rules have been updated in the Tournament thread. Well, unfortunately, I think it is necessary to keep a tournament moving. A few can really hold up progress for many, and we have seen many tournaments become a drag because of people not communicating. These are principles that aren't just useful for tournaments, but your casual PBEM as well. The number 1 frustration and danger to people quitting this game is the slow turns and the uncommunicative style. In my experience, this happens especially when things aren't going well for these players. The purpose of these tight rules are to allow the organization to act swiftly without imposing too much delay. Being communicative and reliable is one of the hallmarks of a good pbem'er, so those players being disqualified don't deserve a victory anyway. What do you expect when these rules are active? I do estimate a handful of players to become disqualified. I guess there will be an initial wave where those who do not 'log' (i.e., communicate) will get some reminders/warnings. We also have new players who may decide pbem multiplayer is simply not their thing after all. We may also see some quitters near the end, especially when players realize that they cannot win anymore! Sounds a bit pessimistic. Is there anything done to prevent this? Well, I think its realistic, not pessimistic. As an organization you have to be tough! We have done a lot in terms of prevention. The rules were stated very clearly before players signed up. There is this interview, and I'll send out a large email tonight as well. This way, everyone can be expected to be informed. Also, there are reminders in place, and we'll do our best to help out people who have troubles. If people simply don't write anything back, than I feel I have no choice but to disqualify. I also hope that players themselves will remind their opponents to log, and to keep the flow! Ok, so I read the rules, and in theory you don't have to get disqualified for not logging your turns or even password protect. No, those are just strong recommendations. Technically, for the turn-logging, it's ok if you log one turn every 48 hours. For example, if your name is Cranberry& Smuki and you can do 31 turns in 48 hours and finish your game, there is no problem. So, technically, you don't have to log every individual turn. Also, if you have an opponent who logs the turn, you could be safe from the rules. However, if (s)he stops logging, the rule will say that 48 hours passed since (s)he last logged and you may get a reminder (the next time a warning, and then a disqualification). Even if you HAVE sent the turn over email, you still need to log. Anyway, I am not sure why I am going over all these exception rules. You should just LOG! A simple 'ts' (turn sent) will do. The same for passwords. It's really bad if you don't do it, but I cannot go check and disqualify people. Any rulings, however, will automatically be in your disadvantage for the party that didn't password protect and sent it to the password keeper. It's generally a smart thing to do as soon as possible anyway. Ok, what if my opponent logged, but he forgot to send the turn? Well, you are responsible for the progress of your game yourself. So, if you don't check the game-thread and see the log, officially YOU will get the reminder/warning. It's important to check your game threads, and help each other to get the game moving. How strict are you going to enforce the 48 hours communication rule? Loosely. It's impossible to check the forums every day/night for when 48 hours has passed by. So yes, some may get 'lucky' when we don't notice 50 hours passing by. We will mostly check games that "fall to the bottom", obviously, and I hope that players will send me reminders. It sounds a bit stressy. Have to play my turns in 48 hours, and all... I mean, relax, it's a game! Well, that's a misunderstanding. You don't HAVE TO PLAY a turn every 48 hours. If you can't, for a reasonable reason, you just mention it in the thread. They are communication rules, not so much playing rules. It's about communication. COMMUNICATE, COMMUNICATE, COMMUNICATE!!!! Well, you get the idea. I don't think we're being unreasonable, and yes, it's a game, and it should be fun! The problem is that the fun quickly goes if there is slow communication, so we guard for that. If people are simply returning emails and are getting used to posting, there shouldn't be any issue. Ok, very well. Let's hope there won't be too many drama's. Ladies and gentlemen, this was TNS for you today!